Today more than ever before it is important to make the right choices when choosing LTL shipping services. There are a number of primary considerations including finding the lowest possible rates and working with a trusted freight carrier. From freight class to the stow-ability of a freight load and other key shipping issues, getting it right will ensure that your load arrives on schedule and at the best possible rate. Here are just some examples of ways that you can more effectively choose an LTL shipper for your freight and shipping needs. For example, when searching for a trusted name in LTL carriage choose to only work with a company that makes customer service and customer satisfaction an absolute top priority. A solid and respected name in the industry will always notify customers of any issues, changes or any other things that relate to a shipment. A quality freight carrier will offer easy and simple access to tracking so that the status of a freight load can constantly be monitored on demand. Also, it is important to seek out a freight carrier that makes available multiple modes of transportation. When customers have a choice in this regard the movement of freight is more reliable, more affordable and more dependable. It is equally important to pay close attention to the actual completion of the bill of lading. Errors or discrepancies in this regard can cost a small business time, trouble and money. In addition, it is always a good idea to make sure that a shipment is adequately prepared for the journey. This can help to avoid additional charges and fees and will ultimately protect your freight shipment from possible damage. Know in advance what freight class you have with regard to your shipment. Doing a little bit of research in this way will certainly save you time and trouble. Keep in mind that there are well over a dozen different types of freight classes to consider. A properly packaged shipment will save money by making lower rates possible. If using pallets, make sure that freight is stacked securely and tight. It is also good to make certain that everything is completely wrapped. Simply stated, increasing the density of a shipment will reduce the chances of damage and lower your shipment costs. 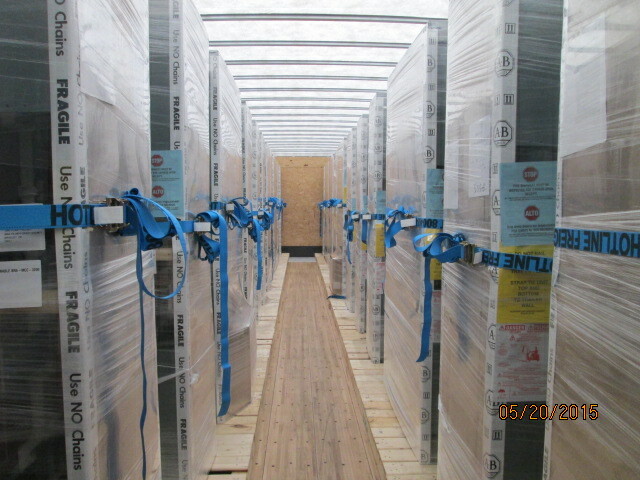 Contact Hot Line Freight Systems today to learn more about the best in LTL shipments nationwide.